HOUSTON -- Robert Durst, the subject of HBO true-crime series "The Jinx" about his suspected involvement in three murders, has been arrested in New Orleans on an extradition warrant out of Los Angeles. Durst was arrested by FBI agents just before 11:00pm Saturday at a J.W. Marriott hotel in New Orleans on a Los Angeles warrant for the murder of Susan Berman 15 years ago, FBI spokeswoman Laura Eimiller said. Berman's body was discovered in her West Los Angeles home on Christmas Eve 2000. Since that time the Los Angeles Police Department's Robbery Homicide Division has conducted an investigation into Ms. Berman's death. "We are relieved and also grateful to everyone who assisted in the arrest of Robert Durst," Durst's brother Douglas said in a statement to ABC News. "We hope he will finally be held accountable for all he has done." Durst, 71, has never been charged in connection with the unsolved 2000 murder of Berman in the Hollywood section of Los Angeles, who was killed as New York authorities prepared to question her in the 1982 disappearance of his wife, Kathie. As a result of investigative leads and additional evidence that has come to light in the past year, investigators have identified Robert Durst as the person responsible for Ms. Berman's death. He moved to Texas after Berman's death, where he lived as a woman before being acquitted in the 2001 dismemberment death of his Galveston neighbor, Morris Black. Durst said that killing was in self-defense. 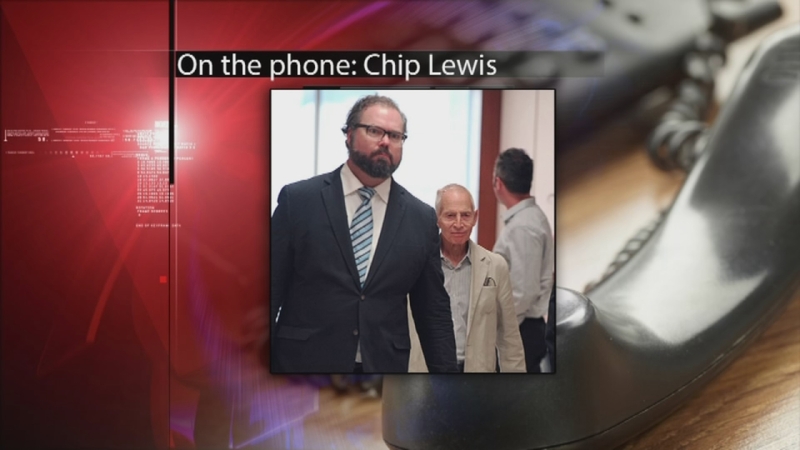 Defense lawyer Chip Lewis, who successfully defended Durst in the Texas killing, said his client will waive extradition and be transported to Los Angeles to face the charges. "He's maintained his innocence for years," Lewis said. "Nothing has changed." The HBO series is exploring Durst's 2003 murder trial in Galveston and two other unsolved suspected killings of two women who were close to Durst, including his wife Kathy Durst and his long-time friend Susan Berman out of Los Angeles. The series led to a never-before-seen letter discovered by Berman's stepson Sareb Kaufman. Kaufman told ABC News he believes Durst sent the letter to Berman a year before her death, and claims it carries similarities to an anonymous note sent to police by Berman's killer. That handwritten letter was recently handed over to authorities in California who reopened their investigation into the 2000 death of Berman. Durst denies killing Berman, but police have long believed he had a motive, allegedly wanting to silence Berman about the 1982 disappearance of his first wife, Kathleen. "I actually ordered a handwriting sample for a comparison back during the (2003 trial) at the request of Los Angeles police," said former Galveston judge Susan Criss. "I don't know why it took so long to get that comparison to figure out that he's the one that wrote that." Durst was found not guilty in a 2003 murder trial in Galveston even after he admitted that he dismembered his neighbor's body and threw it into a waterway. Former judge Susan Criss, who presided over Durst's Galveston trial, says she was "thrilled" to hear that he had been arrested. "I could not be more pleased about this," Criss said. "He was exonerated because of the fact that the prosecution did not do their job. I suspect a couple of jurors might have had ulterior motives." "It's amazing how many times the ball has been dropped when he has been suspected of murder, but I'm hopeful for this one to stick especially so that the families can have closure," Criss added. Lewis, the attorney, said the arrest was orchestrated by Hollywood to come before the final episode. "No doubt," he said. "It's all about Hollywood now." Lewis said he was familiar with the Berman killing and wasn't surprised by the arrest because of the number of emails and calls he got after last week's episode aired. He said new evidence touted by producers, however, was something he was already familiar with. "I know all about this case," Lewis said. "I have no doubt we will present a most compelling defense." Jarecki told a Hollywood version of Durst's story in the 2010 film that starred Ryan Gosling, "All Good Things." A week before the release of that film, Durst called Jarecki saying he wanted to see it, and eventually agreed to be interviewed by Jarecki. That footage led to the documentary series. Jarecki said he has come to a "firm conclusion" about Durst's guilt or innocence. HBO distributed the first two episodes in advance, making news with Durst's admission that he lied to investigators about what he did on the night of his wife's disappearance. The other episodes were kept under wraps to maintain suspense as they aired each week.